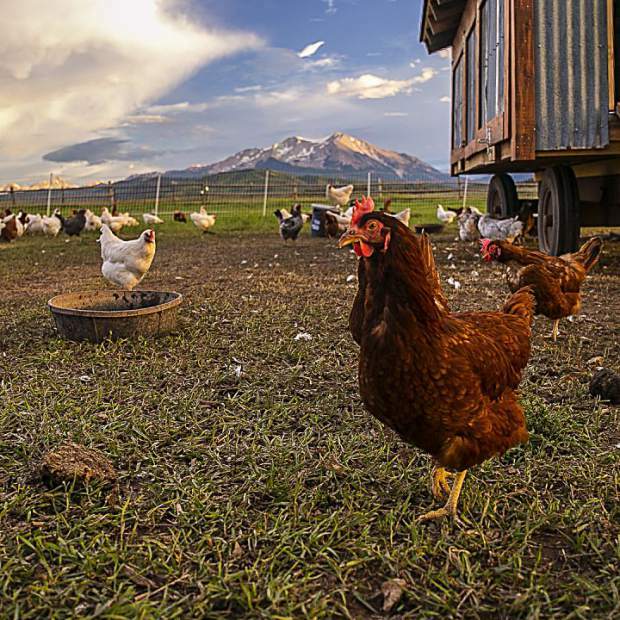 A chicken hunts for food on a farm in Missouri Heights in the shadow of Mount Sopris. An overhead shop highlights baby greens growing on a Roaring Fork Valley farm. 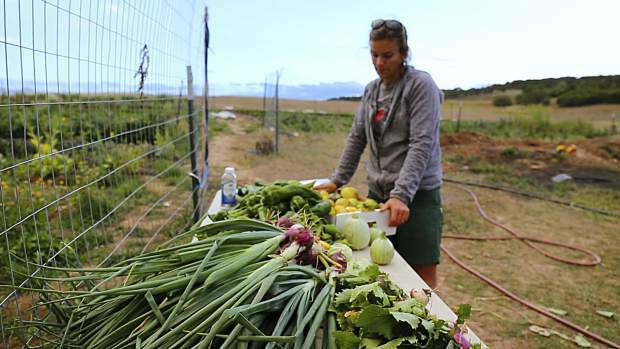 There’s a compelling story to be told about young farmers of the Roaring Fork Valley battling high land prices, short growing seasons and high altitudes to help feed the region. 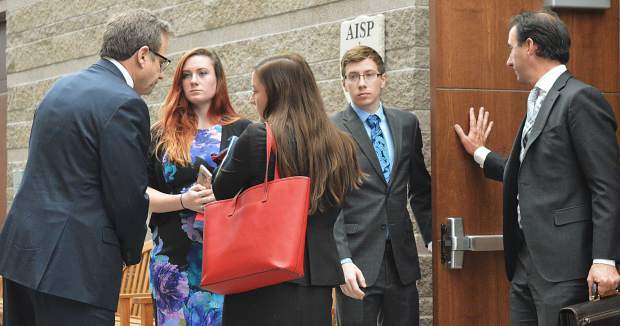 Tomas Zuccareno and Haley Thompson are telling that story in a full-length documentary film. Zuccareno shot 1,400 hours of footage of farmers and the support system they have cultivated in the Roaring Fork Valley. Thompson edited it into a 63-minute documentary called “How We Grow”. Now Zuccareno and Thompson, the co-directors and producers, need help to share their work. They are trying to raise at least $20,000 through Kickstarter to help with post-production expenses, to distribute the documentary the way they believe it deserves and, if possible, get paid for some of the time they have spent on the project. As of 2 p.m. Tuesday, they had raised $12,258. They must raise $20,000 by midnight Thursday in an all-or-nothing deal. Zuccareno, a longtime valley resident, and Thompson, a native of Basalt, dove into the project from a shared passion for the local food movement. They became aware of various farms and people undertaking efforts to make the valley self-sustainable in food production. They thought it was an interesting story to tell and started filming in April 2016 without having a path laid out for the documentary. “We’ve just sort of been holding onto a tail of a dragon and trying not to fall off,” Zuccareno said. 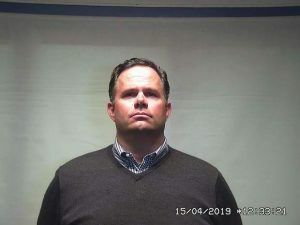 There are a couple of farms located within a few minutes of his residence in Missouri Heights. When the farmers were up to something cool, he was there to film. All the featured farmers are within 15 miles of Carbondale. They also focused on mentors to the young farmers, such as Brooke LeVann at Sustainable Settings and Michael Thompson, Haley’s dad and a longtime educator and promoter of local agriculture. 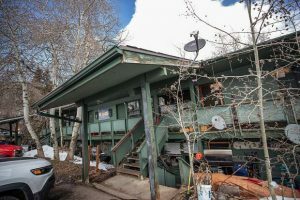 The film also captures how Pitkin County Open Space and Trails leases land for agriculture and how local micro-financing systems provide much-needed loans that commercial banks would scoff at. “When a community comes together to help its young people, amazing things happen,” Zuccareno said. 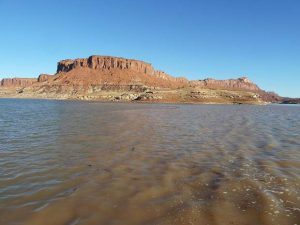 One big break was landing a Redford Center Grant from the Redford Center in Sundance, Utah, in November 2016. Some of the world’s top documentarians at the center also helped them carve a 10-minute short film out of their footage to demonstrate their work. The short debuted at 5Point Film Festival in April 2017 and it has gained attention in venues such as Outside Magazine Online. 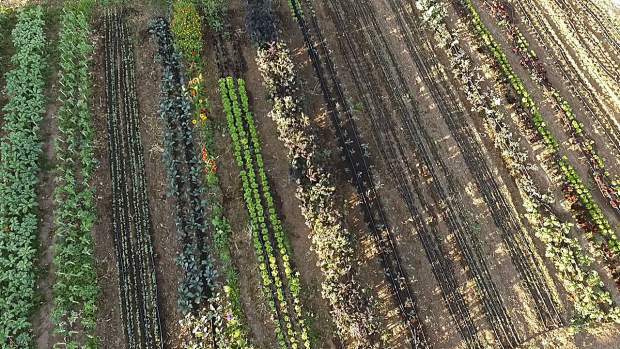 The short displays stunning images of the farms in Missouri Heights and the backbreaking work the young farmers are undertaking. Some of the stars are Harper Kaufman and Christian La Bar at Two Roots Farm, Casey Piscura and Kirsten Keenan of Wild Mountain Seeds, and Eric Cuseo and Jimmy Dula at Erin’s Acres. What they hope to show is that there is a future in small farms, with the help of a supportive community. They also want to inspire other young farmers. To do so, they need funding for animation, graphics, color correction, soundtrack, audio and engineering — essential pieces of the post-production process. Zuccareno said musician Lukas Nelson, who has followed his dad Willie’s footsteps in supporting American farmers, learned about the film and has offered to provide an unreleased song for it. They also need to raise funds to distribute the film by entering it in film festivals, such as the famed Sundance Film Festival. Anyone wanting to contribute must do so through https://www.kickstarter.com/projects/howwegrow/how-we-grow-movie. That’s the best way to ensure the entire $20,000 will be granted. There will also be a Kickstarter Party Wednesday from 6 to 9 p.m. at Roaring Fork Beer Co.’s Batch tasting room at 358 Main St. in Carbondale. People can attend only by pledging at least $25 through the Kickstarter page. The party features a tasty brew by Roaring Fork Beer Co., a plate of tacos from Open Fire Catering and a chance to mingle with the filmmakers and featured farmers.